Next board meeting is Monday, April 22, beginning at 6:00pm. The meeting will be held at the American Legion hall on Western Avenue. An agenda is posted below. Because Bob Shelden Field is as of yet not game-ready, games scheduled to be at home this weekend, Monday (4/22), or Tuesday (4/23) will not be played there. All subsequent worker shifts for these games are cancelled. Click the links below to access individual team sites. The Friends of Brookings Baseball (FOB) are pleased to be working on our annual summer baseball program book. This glossy program includes all summer schedules, along with rosters, mugshots and bios of every player from the Bandits, Chutes, Bullets, and Bombers. Additionally, lots of information on our local amateur baseball team, the Brookings Cubs, will be featured, as well. These ad books are handed out at more than 250 games in the city from early June to August. People visiting our great city use this program as a way to find out where to eat, shop, and stay during their time in Brookings. Don’t miss out on your chance to support Brookings Baseball and reach potential customers. Website advertising at www.brookingsbaseball.com is available for an additional cost with any ad booklet spot. For more information on ad booklet and website advertising, please contact Friends of Brookings Baseball sales coordinator Aaron Jorenby - FOB2019programsales@gmail.com, or 605-691-9355. The points document has been completely revised, with new positions added and many changes made to current positions. Please review the entire document. We will be utilizing Dibs - a volunteer management system - for all points tracking purposes. More information will be made available on this system as we draw closer to the beginning of the season. Summer schedules for 18u, 16u, and 14u are starting to be posted online. Please note that these schedules are NOT finalized and are subject to change. Registration for our 2019 tournament offerings is now open. Click the "Tournaments" link in the menu above, or click below. 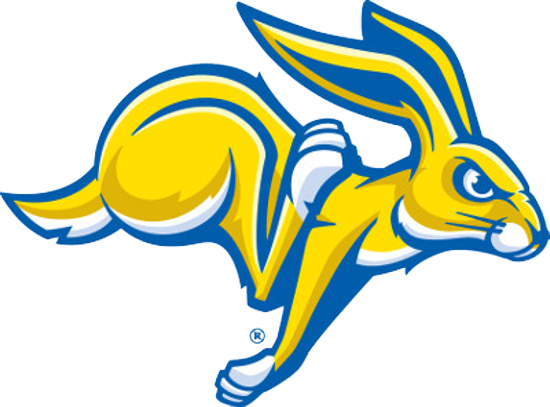 South Dakota State University is offering a number of opportunities for players to participate in their camps. Two of the camps have already been held, but a third is available in April that is designed for players in grades K-6. Will be held on April 22, 2019. Cost to attend this camp is $75 if registered by Friday, April 19, 2019, or $150 on the day of camp. Effective with the 2019 baseball season, Friends of Brookings Baseball will be utilizing Dibs - a software module that meshes directly with SportsEngine, our website provider. Dibs will allow all volunteers the opportunity to select work shifts they wish to claim, and when completed, an admin will mark them as complete and points/credits will be automatically tabulated. To claim a Dibs session, you MUST be logged in with your SportsEngine account - the same account you used to register your child.